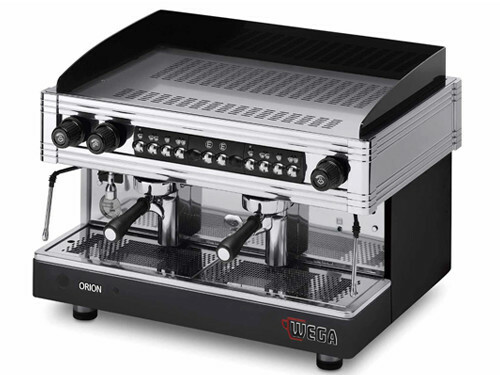 Resistant and easy to use, Orion Gold allows for the preparation of a quality espresso with just a few simple gestures. Although it’s part of the entry-level category, it contains all the characteristics of a great machine. Orion Gold is the right product for you if you need high performance at the right price. Aim high: choose Wega Greenline. The maximum expression of Wega technology, in the service of environmental sustainability. A completely new design with clean minimalist lines frame an absolutely innovative, high performance and efficient coffee machine. 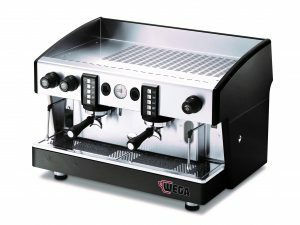 The night time stand-by function, combined with the Multi-boiler and Self Learning Software technology, means that the Wega concept can obtain energy savings certified at 48% on stand-by and 30% when in operation. This model is the first of its kind with an ergonomic button panel located vertically above each group. Options include a LED light to illuminate the working area. 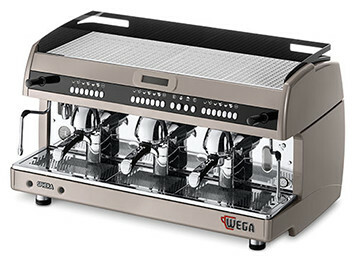 Offering all of the Wega reliabilitity, one has come to expect from the Italain manufacturer. Sphera unites class and practicality, furnishing it’s space with distinction. 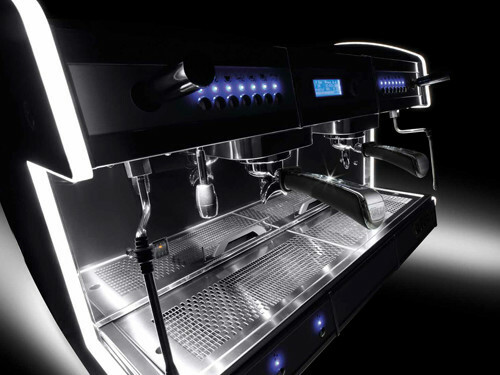 This machine comes with 6 programmable doses per group with manual brewing button. 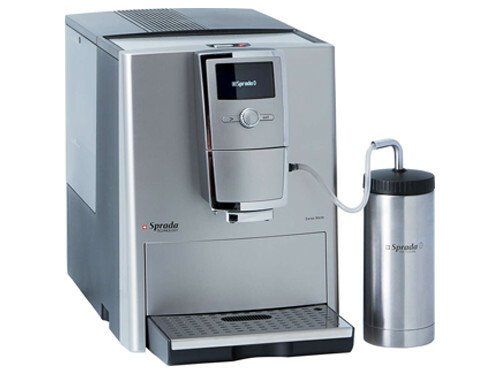 With two steam wands with slide lever control taps, temperature controlled hot water supply and an electronically controlled cup warmer – all of the features you will need to make the perfect cup of coffee. Sprada provides a bean-to-cup coffee solution that speaks directly to the hearts of the discerning coffee drinker. Sprada equipment is for sophisticated environments where discerning coffee lovers gather to be delighted by the ultimate coffee flavour. Reliability to cope with the everyday grind. Please complete the quick form below and a customer service representative will contact you.